Trimming your cat’s claws is an important part of the whole cat grooming procedure. But it is something that a lot of owners overlook. If your cat goes outside regularly, it will be less of a problem as the nails will be worn down naturally, but it is still worth checking that they have not become too long. The first signs that your cats nails have become over long is that your cat will start to get caught in carpets and soft furnishings. If this happens and the claws are left unclipped than your cat may end up pulling their claws out trying to escape from something they have become caught in. I used to be one of those people who would never clip my cat’s claws myself. I would always take them to the vets and pay money, for them to take two minutes to clip the nails. I always felt so silly afterwards as well as much lighter in the purse. Now however I have learnt to clip the nails myself and believe me it’s not as daunting as I thought. The trick is to get your cat used to you holding their paws, this way they do not try to pull away or become fearful when you try to trim the nails. Get used to touching their paws during a normal stroking session and make it a normal part of your interaction with your cat. Here is an instructional video to help you clip safely. Step Two – Sit with your cat either on your lap or on the floor. You may need to wrap them in a towel or have a friend to help hold the cat if they try to get away. 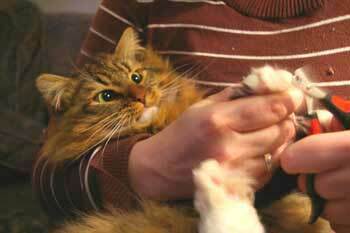 Hold your cats paw and gently squeeze until the nails are extended and look for the quick in the nails. Step three – make sure not to get too close to the quick, use the cutters at a 45-degree angle to the nail (to prevent splintering) and make a clean cut. Step four - If the nail is brittle and does splinter slightly, use the nail file just a couple of times to smooth down any sharp edges. 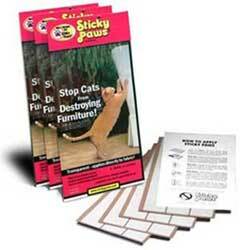 Step five – if your cat will allow you to, try to do all the claws in one sitting. If not, don’t worry, let your cat rest for a while and then return to finish the clipping. It is important to make sure that all the nails are trimmed, as some of them if left to grow too long, can curl round and begin to grow into the soft pads of the paw. 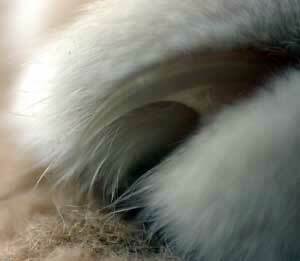 Step six – make sure that there are no cuts on the paws. If you have accidentally made a nick, use the powder to stop any bleeding and to help seal the wound. Any cuts will heal quickly. Basically when you are trimming your cats nails, what you are doing is just trimming away the excess point. Cats need their claws for everyday living and so it is important to make sure that you do not damage the nail in the clipping process. So identifying only the excess nail and learning to avoid the nerves and blood vessels in the nail is essential to a quick and pain free process. Inside every nail is a blood vessel and a nerve which runs along the side of it. In a light coloured nail it is easy to identify as the pink area inside the nail. This is known as the quick. All you need to do is make sure that you clip just the top of the nail, away from the quick. A little at a time is the safest option; remember all you are doing is removing the sharp point. Cat nails will re-grow and become sharp again in a few days, especially if they are kept inside all the time. So check their nails at least once a week, you may even have to trim the nails a couple of times a week.